Explore this room completely free, learn 30 new commands, learn lots more vocabulary and phrases. 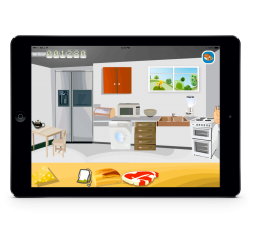 Using a fluent speaker to guide you through the Kitchen, you will not realise you are learning these new words. 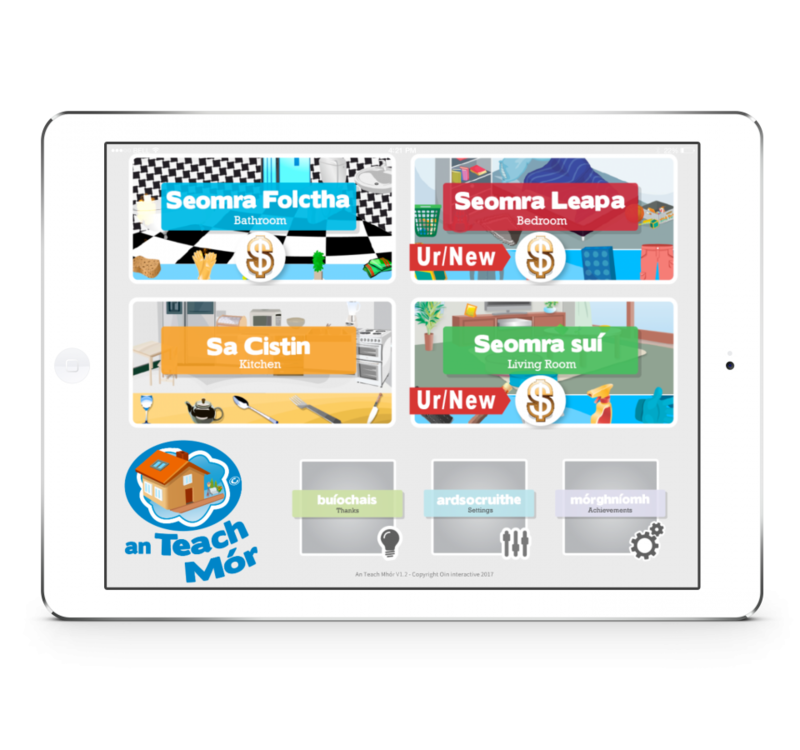 Explore the Bathroom in An Teach Mór, Learn 30 new commands & phrases, pickup new vocabulary. Featuring a new Vocals from a Fluent speaker from The West of Ireland, you can experience a new dialect from the previous room. This is an In-App Purchase item costing £2. 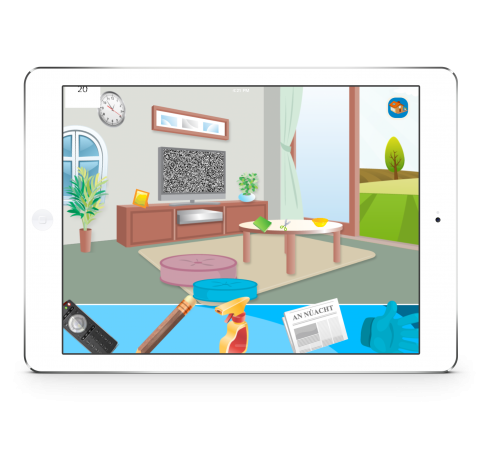 This in app purchase allows an extra room with over 30 new items to learn. This interactive experience will help you absorb some new vocabulary without realising it. There are achievements to unlock if you can finish the room. This add on can be played again and again until you have made no mistakes. 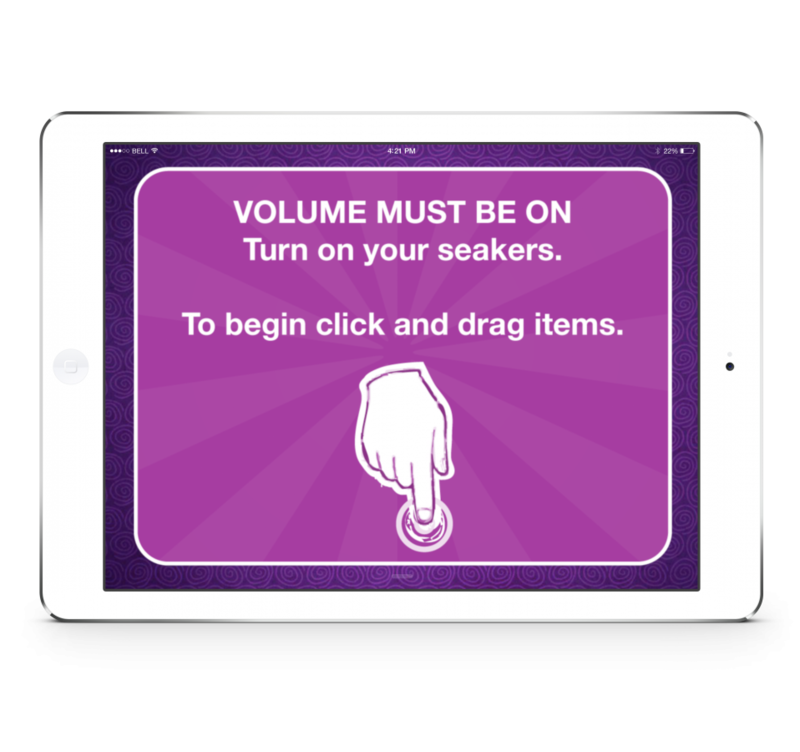 Game works on a single touch and drag method, don’t forget to turn on your speakers. This would be a great app if there was more content. Two rooms with the second costing €2 is bad and expensive for a single room. But what is there is good, fun and I learned from it. 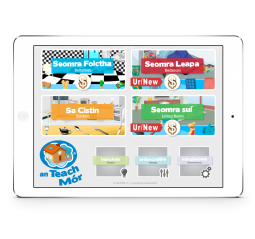 This app is fantastic way to learn Gaeilge in a fun and easy way! 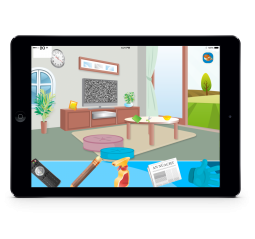 Our six year old daughter loved the idea of putting away the objects in each room it helps her to learn the words in Irish easily. Great idea for language learning. 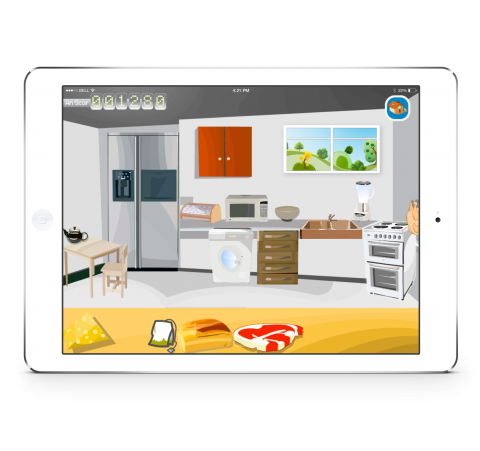 It would be great to see more rooms developed for this app. Seems unlikely now given that it is several years old... But who knows! I found the concept of "learning by following someone's orders" really effective and enjoyable. 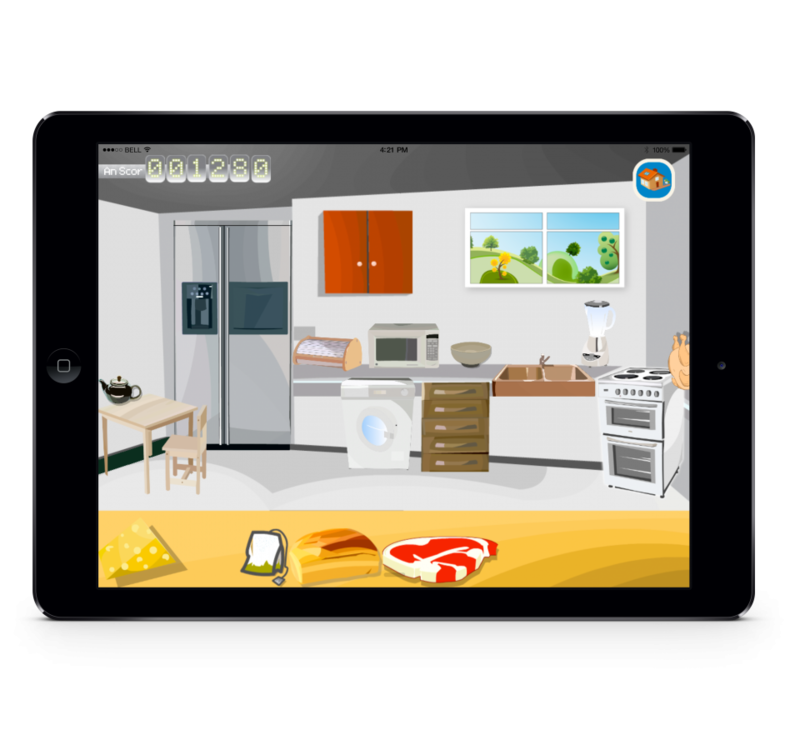 This in an intuitive applications, it has been developed with help from a live classroom with 30+ children taking part in steering the apps creative direction. 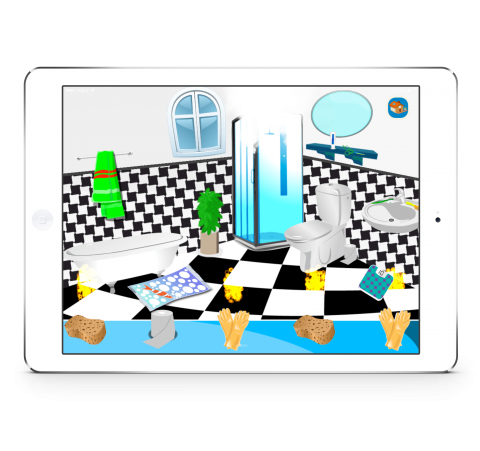 Join the newsletter so we can inform you when the next room is ready. The app will update automatically.